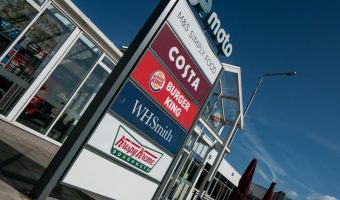 This service station is situated near Junction 33 of the M6 motorway, around 6 miles south of Lancaster and 14 miles north of Preston. It is best known for its hexagonal concrete tower, one of the most recognisable structures in North West England. Facilities are located on both the northbound and southbound sides of the motorway and are linked by a bridge. 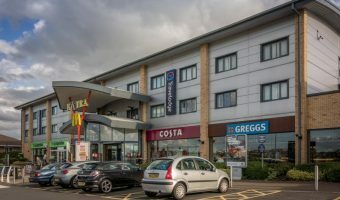 At the time of writing (November 2015) they include the Travelodge Lancaster M6 hotel, Burger King, Greggs, Costa, WHSmith, M&S Simply Food, an Eat & Drink Co. restaurant, a Ladbrokes betting shop, a Cotton Traders clothes store, and public toilets. The BP filling stations here also offer snacks, groceries, and drinks. The Pennine Tower is located on the northbound side of the services. It was designed to resemble an air traffic control tower and originally housed a restaurant. 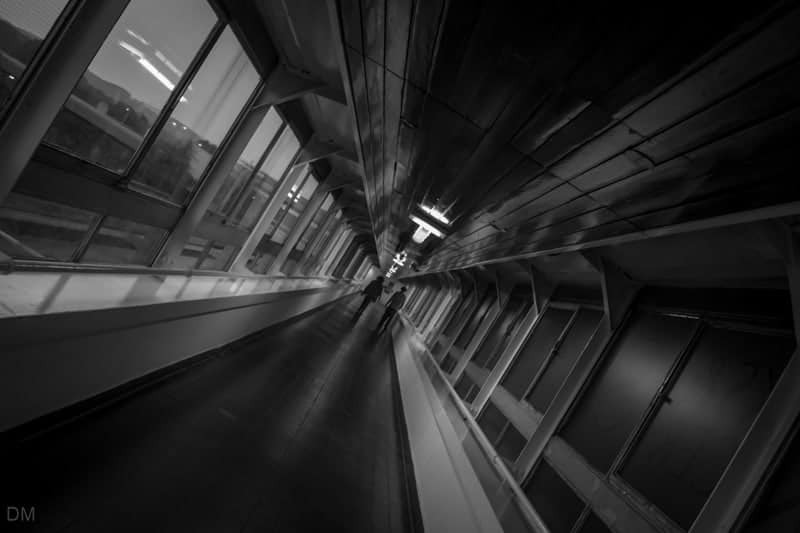 It closed to the public in the 1980s as it only had one exit and didn’t meet new fire regulations. It is a Grade II listed building so, despite its redundancy, cannot be demolished without special permission. Lancaster Services opened in 1965 as Forton Services. 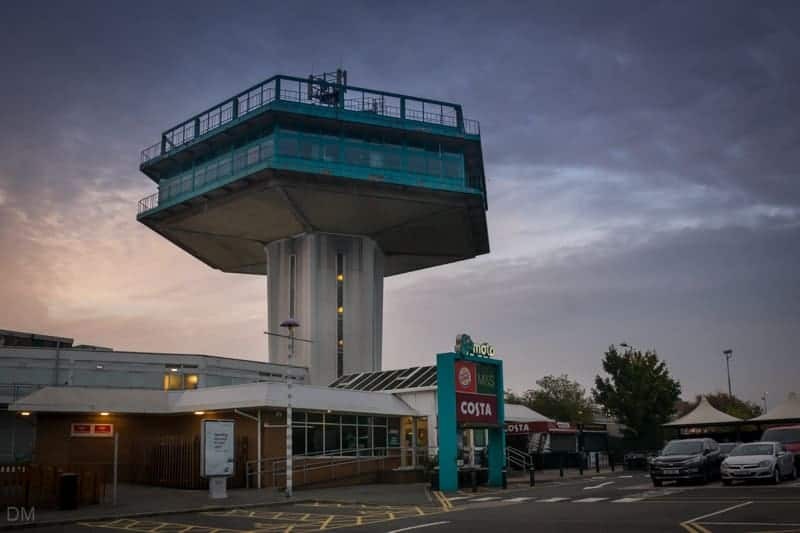 It has also been known as Lancaster (Forton) Services. It is currently operated by Moto. The M6 is the UK’s longest motorway. It links Rugby in Warwickshire to Gretna in Scotland. Towns and cities on its route include Coventry, Birmingham, Stoke-on-Trent, Warrington, Wigan, Preston, Lancaster, Penrith, and Carlisle. Map showing location of Lancaster Services. Just been in Burger King at Lancaster services. Horrendous service. Had to queue for 40 minutes to get served. Staff ignorant. 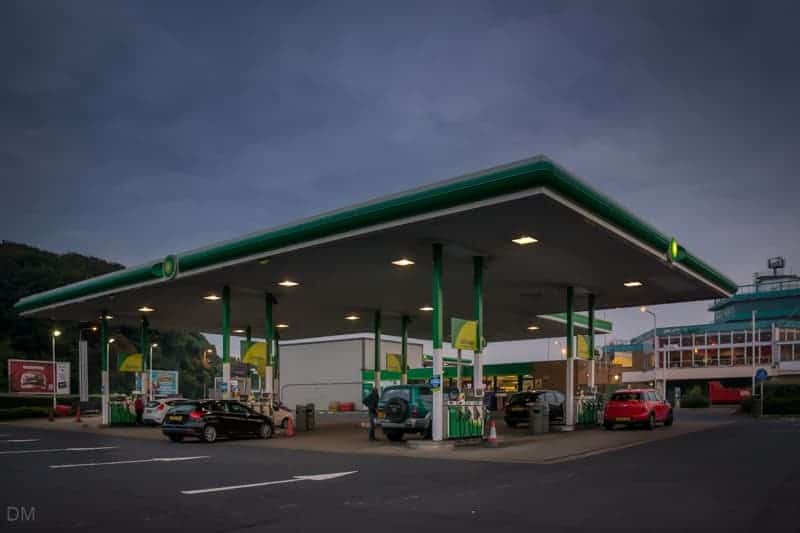 Service station on the M65 serving Blackburn and Darwen. Services on the M6, near Carnforth.